“It was the kind of August day that hinted at monsoons, and the year was 1774, though not for very much longer. 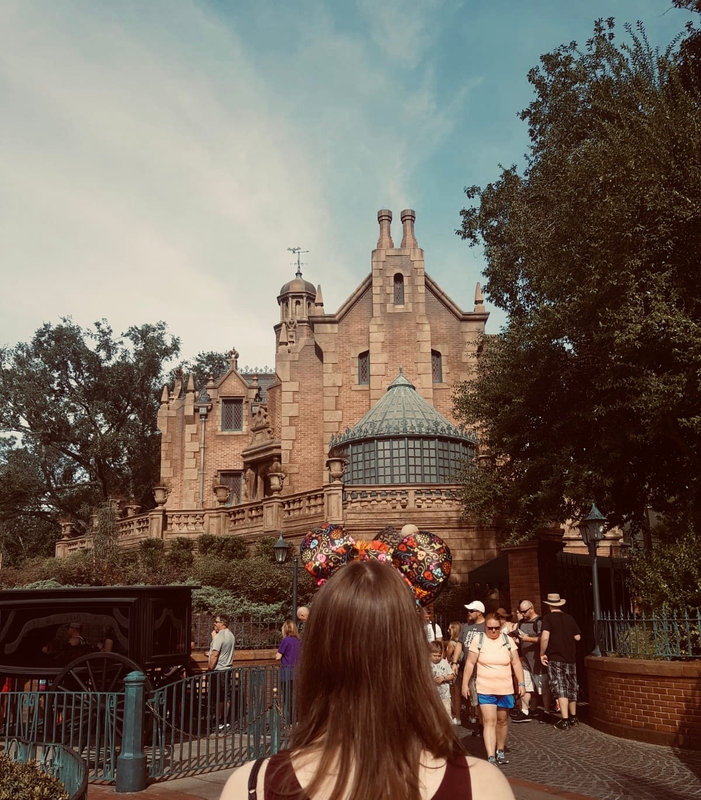 The Wicked Cometh marks a departure for me – it’s the first time in quite a while that I’ve chosen to read a book that has no hint of fantasy or magic, and is purely historical fiction, albeit with a generous helping of the Gothic. 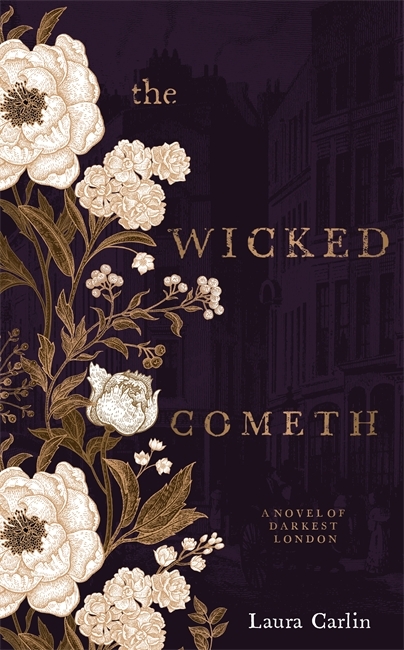 The Wicked Cometh is the kind of historical fiction I enjoy – it doesn’t sugarcoat or glorify the Victorian age, instead it presents a London that is more about the blood and excrement in the back alleys of the busy thoroughfares than the refined drawing rooms of the elite in society. It proclaims to be “a novel of darkest London” and this book goes to some very dark places indeed, with the book opening with its protagonist, a parson’s daughter, now down-and-out, Hester White, asleep in an outside shed with only the ragged clothes she’s wearing as protection against the cold wind of the night that whistles through the slums in which she lives, a slum from which many people are going missing, with no explanation, or concern raised. What emerges from this less than auspicious start, via the fortuitous happenstance of a carriage accident putting Hester in the path of the aristocratic Brocks, is a story about how far it is possible to rise and fall and what nature of crimes both the upper and under classes commit in everyday life. It concerns the question of the period – can the lower classes be educated and, therefore, have a better “value” in the eyes of the government and society at large? These macrocosmic concerns are, naturally, dealt with through the journey of the novel’s protagonist Hester, as she meets some unsavoury characters along the way, in the slums and drawing rooms alike. Janet Ellis’ début has been variously described as bold, dark, weird, and brutal – all of these adjectives suit the first-time author’s historical fiction romance but still don’t quite do justice to its brash and unapologetic narrative. Set in 1763, Ellis paints a realist picture of Georgian London through the eyes of nineteen-year old Anne Jaccob, a daughter of sufficiently wealthy parents whose entire life is confined and constricted to the walls within which she lives. As all respectable young ladies, she is educated only enough for good sense (no less, no more) but her determination to be more, to pursue more for herself than the insipid husband her parents have organised for her to marry, leads to an education in life that few would expect initially from a book that bears the phrases ‘Georgian London’, ‘historical fiction’ and ‘romance’. 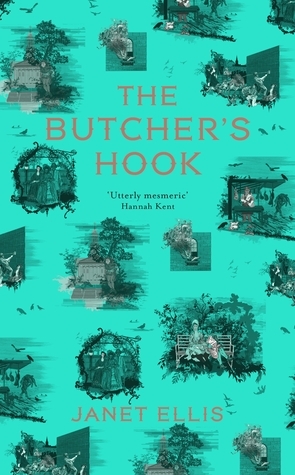 In fact, the Georgian society that Anne walks amongst is worlds away from the gentility of country balls and careful courtship seen in the likes of Jane Austen’s novels, and the great strength of The Butcher’s Hook lies in the (at times) horrible and surprising turns that the path of this novel takes its readers down from the very first pages.